Missed a recent Weekly Wind Down? 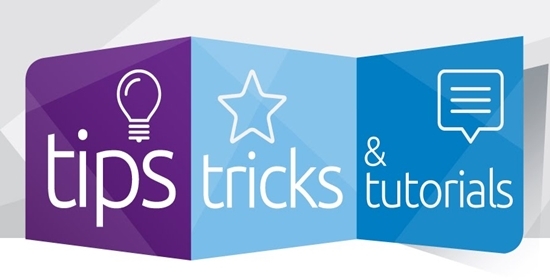 Just discovered this great sharing of favorite tech tools, tricks and best practices from our Senturus training experts? Not to worry…we’ve got you covered. Check below to catch a recording of anything you missed. If you’re serious about analytics, it’ll be the most informative 30 minutes of your work week! While creating a dashboard based on well-defined criteria is relatively straight forward, users often need a dashboard to accomplish several different and sometimes competing goals. Use parameters if you want the option to view data by year, quarter or month or able to quickly toggle between regional sales, profit, units sold or discounts. In this recording, we show how to use Tableau Desktop parameters to give users control over what data they would like to see in dashboard visualizations. Some of the most valuable performance reports highlight top and bottom performers. The ability to identify the top and bottom customers, products, services or locations by a variety of metrics such as revenue, cost, units sold, inventory, hours billed, etc. is beneficial for making decisions to continue or modify business objectives. While the inclination is often to design separate visualizations to address various requirements, a more efficient approach may be to design a single visualization that can accommodate different scenarios. Learn how to use parameters to create highly dynamic top and bottom filtered visualizations in Tableau Desktop. So you've created the perfect dashboard…congratulations! After your dashboard consumers have been using it for a while, the next request will undoubtedly be the ability to get more detail. You could provide a detailed list of relevant transactions, but imagine if you could hover over a data point of interest and get visual detail. It would allow users to hover over a column, bar or pie slice to see how a data point has trended over a period of time. Learn how to embed visualizations in tooltips with Tableau Desktop. See the differences between discrete and continuous dates and learn how to create custom dates and use date calculations. Plus, learn how to save it for reuse in other workbooks. Learn how to use parameters to dynamically sort, group and aggregate data based on user defined criteria in Cognos Analytics. Didn't think you can use Cognos to perform free-form data discovery and visualization quickly and easily? Cognos is a trusted name when it comes to enterprise-class reporting against governed, centralized data sources, but that power has come at the cost of the agility of some other BI tools. We show how the modern platform empowers true self-service as we take raw data from multiple sources, combine them and deliver visually compelling insights without any help from IT! Have you ever wanted to isolate a historical population and find out how it is doing today? Do you want to know who your top 10 customers were last year and how they rated their service experience this year? Would it be helpful to know which were the least profitable locations last quarter and how is the profit trending this quarter? Learn how to use query references to select a population based on one set of criteria and view data for that population based on another set of criteria with Cognos Analytics. While we typically want to create reports that offer users maximum filtering flexibility, there are often instances when you want to require certain filter selections. How can you ensure that a value is included even if users do not choose it in a prompt? Learn how to use union functions to accomplish complex requirements with dimensional data in Cognos Analytics. A persistent challenge we come across in nearly all of our large Cognos projects is how to manage the proliferation of reports and inconsistencies across them. How can you enforce some level of standardization and at the same time reduce repetitive and redundant development tasks? Are you using a templatized approach? Do you use Layout Component References (LCRs)? We demo how and why using base reports and LCRs will save you time, deliver more consistent and attractive reports and minimize maintenance cycles. Have you ever wondered how to get all months to show up on a trend chart even if there was no data that month? Have you ever wanted to see all of you locations, products, customers or accounts in a chart legend even if there was no data? Learn how to use unions to accomplish complex requirements with Cognos Analytics. Looking for a way to build a snazzy dashboard in Cognos Analytics, but struggling with performance issues? Data sets are a new feature of Cognos Analytics that make reports and dashboards lightning-quick! They let you extract only the relevant data for your analysis, set it aside and schedule automatic refreshes. See how this feature works and learn important factors to consider when deploying data sets. Have you have ever created a report in Cognos that looks great in HTML and PDF, but has major formatting issues when exporting to Excel? If so, learn clever tips and tricks on how to format your reports for Excel. The most common challenge when authoring reports in Cognos against multidimensional data sources such as a PowerCube, DMR model or TM1 is avoiding coercion errors. Watch the video to understand why those errors occur. Plus, get tips on how to combine functions in a way that produces dynamic calculations that follow coercion rules. Hands-on classes taught by bona-fide subject matter experts. See the course schedule. Extremely engaging teacher who clearly knows his stuff, both from a curriculum perspective as well as practical knowledge.